professional boosters (this will take you to the booster gallery) who are highly experienced Grand Champions (including several top 10 players). If you would like to get your 10 wins to gain Seasonal Rewards please go to our Reward Win Boosting. Our boosters don't use any hacks or other third-party programs only hand work. We boost in 1v1s, 2v2s as well as 3v3s formats. You can also play with the booster which allows you to learn and improve your own knowledge and skills in Rocket League. This is a good way to improve yourself while also climbing the Rocket League ladder. We also boost on Xbox and PS4 for the same price! 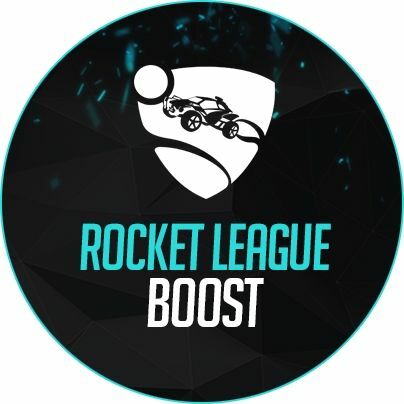 Once you buy the boost all of our Rocket League boosters will be notified of your order meaning the boost is very likely to start soon. You will be also granted access to our Members Area where you can chat with your booster and much more! Are seasonal rewards included once reaching my desired rank? Unfortunately, seasonal rewards are not included at the end of the boost, you would need to buy them separately here. If you wish to order a Rocket League rank boost as well as Seasonal Rewards as one order, you can do that by simply adding one product to your shopping cart, clicking on "continue shopping" then adding the second product and proceeding to the checkout. The final order will include both products and will be completed by the same booster. How may I contact you if I have any questions or concerns about the boosting process? You can always contact us via Live Chat, which is located at the bottom right of the website. We'll be happy to answer all the questions you may have regarding our services! Our Live Chat Support is available 24/7. How fast is my Rocket League boost likely to start? You can see how many boosters are available (not currently working on any orders) just below the image, if want to have more in-depth information about booster availability you can find it here. Most orders are usually started within an hour, however it can be longer depending on the time of the day, platform, rank, etc. If you want to know an exact time you can contact us via Live Chat and we will happily provide you with a more accurate time frame. Is it a problem if I have Steam Authenticator on my account? Not at all, you will simply be required to provide a code once the booster is ready to start playing. There is a blue chat box right next to the Live Chat (green) where the booster will contact you and ask you for a code. The blue chat is only visible when you have an order on the website and are logged in. Will the booster talk to my friends during the boost? Absolutely not, our boosters always play in offline mode therefore nobody will even know that you are online and playing. However if you requested the booster to play in online mode for your personal reasons and someone sends them a message, they will simply ignore it and tell you about it. How can I track progress of my Rocket League boost? To find out the progress of your order you simply need to contact your boosting via the blue chat and they will happily update you on the progress. Are my both Rocket League and Steam inventories safe? Yes, absolutely. All of our boosters are trusted and verified professional members of our website. In addition Steam Authenticator will protect all of your Steam Inventory. You are also welcome to trade over all of your Rocket League items to a different account whilst the Rocket League boost is in progress. Most of our boosts are completed in several hours, however, it can depend on the platform, the size of the boost and queue type. If you would like to get an accurate time frame, do not hesitate to contact our Live Chat support which is located at the bottom right corner of the website! Very fast and good guy! Tony was absolutely Amazing. Service was fast and simple and my Steam account integrity is safe and my inventory is how i left it. give him some space, hit the ball next to his car and GG! best player i played with, thanks bro! Rocket League is a vehicle-soccer video game developed by Psyonix. It has become a hit on PS4, Xbox, and PC for its uniqueness. In fact, it has been nominated in more than 150 Best of 2015 awards and won some of them. The game is unbelievably physics-based though combining soccer with driving. It is a competitive multi-player game that comes with varied degrees of difficulty and is challenging. If you love playing Rocket league and is looking for a fast, easy, and affordable way to rank up, you can let our professional players help you. With our Rocket League Boosting, you can gain competitive rank in a short time without any problem. To play the game, players need to choose a powered matchbox and drive into a soccer ball. The aim is to ram the ball into the opposing team’s net. What makes it exciting is the impressive smashing, accelerating, and even flying of cars in every direction due to the momentum of crashing into the ball. Rocket League is a flexible game, so you can choose whatever mode and game type you want to play. Matches may be played by two to eight players across varied stadiums. The game, of course, is all about the ranking. Rocket League uses the same ranking system as other MOBAs. During your first games, you will be unranked as you will be given the time to familiarize the game. Every competitive game comes with its own rank and it usually takes about 10 matches before you can earn a rank in any of them. In other words, your first 10 competitive matches will determine your initial ranking. Rankings take into account both your wins and your losses. Your individual performance will not be taken into account. Thus, it can take a long time before you reach the exact rank that you desire. The longer you play the game, the more difficult it is to climb the rank as your skill ranking will be calculated based on all of your games. This said, it is easy to be disheartened and get tired trying to grind your way to the top of the rank list. Luckily, Pro Boosting is here to help you get the Rocket League Rank Boost that you want. Professional players with lots of experience in the game will be handling your account. Once you make an order, they will work on your Rocket League Boosting for several hours until you get an increase in rank. They don’t use hacks or bots. The rank that you will be getting is a pure result of hand work. Pro Boosting follows an effective process in doing things, thus failure is not an option. As soon as you make an order, our professional boosters will be ready to start. However, the boost delivery time will depend on the game mode and the ranking that you desire. Most of Rocket League Rank Boost will be done in several hours and not days. However, 3vs3 game boosts can take a longer time. If you have any questions about our boosting process, you can contact our customer support via live chat. We can guide you throughout the process and help you in the case that you want to modify or add more information about your boosting request. We believe that in order to gain success, there should be no misunderstanding. Thus, we are transparent with our services and always try to give you the support that you need. In line with our service transparency, you can track your Rocket League Boost progress via the Members Area chat box. Thus, you can monitor your order and talk to your booster whenever necessary. For security measureswe do not allow our Professional boosters to make any modifications to your inventories. Moreover, boosters are not allowed to communicate with any of your friends via console chat system or on stream. They will only focus on boosting your rank and will be playing in offline mode so that no one will know that you are online. If anyone tries to trade your Rocket League account, we will be notified via Stream Authenticator. If you don’t want to give your account information, you can contact our customer support and they will find a way to keep your private information safe. When you buy Rocket League Rank Boosting from Pro Boosting, our Professional boosters will be able to help you gain more wins, thus improving your win-loss ratio. The more consecutive wins you have, the faster you will climb up in the ranks. In addition to this, you can also gain better experience and a higher level. Being one of the top online game rank boosting teams, Pro Boosting can give you a professional service at a minimal cost. Our pricing is calculated based on the results that you want to get. Thus, you can start out small to try our service and come back to get a higher rank once you are satisfied with our service. If you have any doubts or want to settle any discord, you can contact our customer support. In order to avail Pro Boosting’s Rocket League Boosting, you only need to have a Rocket League account. Our boosters will do all the rest. So make an order now and see how far you can go up in the ranks!